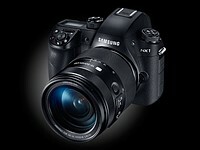 The NX1 is Samsung’s latest flagship mirrorless camera. 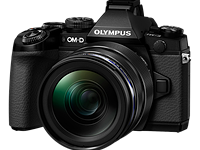 It offers a 28.2MP backside illuminated APS-C-sized sensor, the largest backside Illuminated CMOS sensor of any camera on the market. 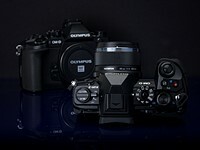 At 15fps, it also offers one of the fastest burst rates of any interchangeable lens camera available today. Autofocus ability is another hallmark of this camera. With 205 phase-detect AF sensors, 153 of which are cross-type sensors, the NX1 has 90% AF sensor coverage on the sensor plane. The hybrid AF system also does a great job of focus tracking moving subjects in a scene. "Samsung may not be synonymous with photography, but the NX1 offers an incredibly strong set of features, not to mention industry firsts, in a compact, well-thought-out unit." ISO sensitivity ranges from 100-51,200 and on the video front, it can record 4k video directly to an SD card in the H.265 codec, without the need for an external recorder. The NX1 also offers a built-in stereo mic as well as an external mic and headphone jack. The 2360k dot OLED viewfinder has a refresh rate of 5ms, fast enough to be undetectable to the human eye . The magnesium alloy body is both dust and moisture sealed and the 3-inch articulating AMOLED touchscreen offers 103k dots. The camera body itself looks a whole lot like a DSLR, minus the mirror. 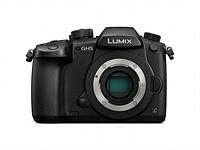 The top even offers an LCD monitor to view settings, something hard to come by on most mirrorless cameras. As would be expected from any Samsung product, the NX1 offers many ways to connect to devices, including NFC, WiFi and Bluetooth 3. Samsung may not be synonymous with photography, but the NX1 offers an incredibly strong set of features, not to mention industry firsts, in a compact, well-thought-out unit. This is definitely worth putting on your list if an APS-C-sized sensor mirrorless camera is what your after, especially one that can excel when it comes to capturing fast action, the NX1 should be high on your list.